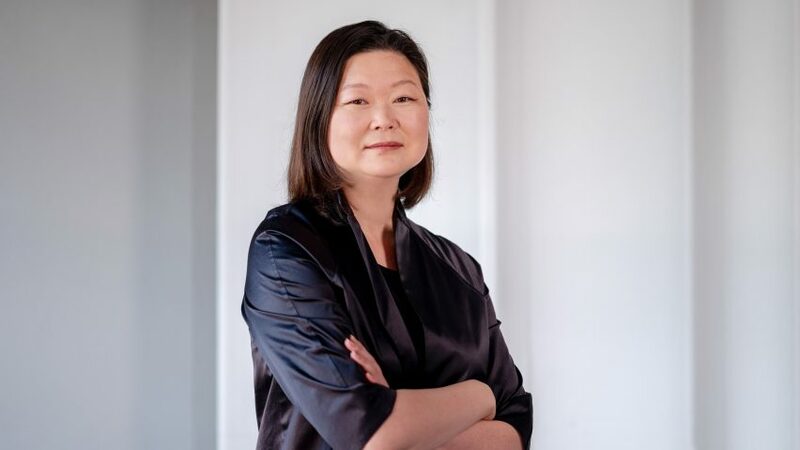 New York's Cornell University has appointed alumnus J Meejin Yoon as the head of its College of Architecture, Art and Planning. The Korean-American architect will become the college's first female dean since it was founded in 1896. She will begin her five-year term at the school in Ithaca, New York, on 1 January 2019, succeeding current dean Kent Kleinman who has held the position since 2008. The architect currently serves as the head of the architecture department at the Massachusetts Institute of Technology's School of Architecture and Planning, where she was also the first women to hold the position. At Cornell, which has one of the country's top-ranking undergraduate architecture courses, Yoon will oversee 51 faculty members and 783 students. "Meejin Yoon is an exemplary alumna of Cornell's architecture programme," said Kotlikoff in a statement. "Her time as a student at Cornell was formative, and continues to inform her work as an architect and an academic." "She has led key academic initiatives and contributed to the transformation of the department of architecture at MIT, and leads an award-winning design practice," he continued. "I am pleased to welcome her back to the College of Architecture, Art and Planning and to Cornell." In a statement, Yoon credited Cornell's diverse programme with helping to shape her career. "I am deeply indebted to my education at Cornell," she said. "It was an empowering experience. From taking courses in sculpture in the Foundry, to environmental law studies, to architecture studios in Rand, as a student I felt like there were no boundaries and no limits to my education." "The faculty who taught me were truly exceptional teachers and enabled students to challenge conventions and expectations around design and the built environment," Yoon added. Some of the top positions at the most prestigious architecture schools across the US are currently held by women. Deborah Berke serves as dean at Yale, while Monica Ponce de Leon heads up Princeton's department. Elsewhere, Eva Franch i Gilabert was also recently elected director of London's Architectural Association, making her the first woman to hold the post. Earlier this year, Cornell's architecture school severed ties with alumnus Richard Meier, and abandoned plans to name the department chair in his honour, after sexual harassment claims against the architect emerged. The university recently opened a new technology campus on New York City's Roosevelt Island, which includes buildings by SOM and Morphosis.